Is this the Google Pixel 3 you would buy? The Pixel 3 has been officially confirmed by Google, and as the expected October 2018 release date draws closer, we can start to think about what new features the handset might bring. 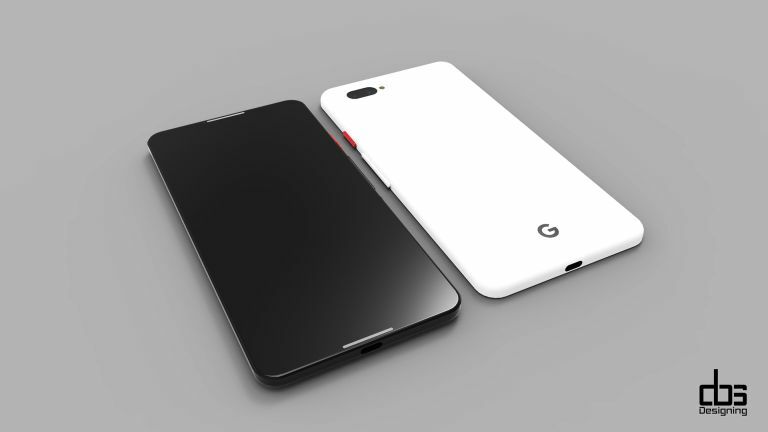 Pixel 3 leaks are thin on the ground at the moment, but we rather like these slick renders of a concept Google Pixel 3, created by Muhsin M. Belaal Auckburaully of DBS Designing. The Pixel 3 concept shows a more refined design, although with clear Pixel traits carried over from the Pixel 2. The most significant change is the improved screen, with much smaller bezels than the current handset. The designer thinks Google will carry over the dual speakers, which is a decision we'd welcome. The new Pixel has been presented here in the 'Panda' colourway and contrasting red power button, which Google introduced with the Pixel 2. Auckburaully believes Google will adopt a dual camera system, which so far the manufacturer has resisted. It'll be interesting to see if this particular feature comes to fruition or not, because Google's camera is widely regarded as the best smartphone camera available, despite being a single lens system. Specifications suggested in the video are that the Pixel 3 will feature a QHD+ Display with a fingerprint sensor embedded underneath and, of course, it'll also come running the newest version of Android – Android P.
The video also guesses that the device will have 256GB of internal memory and 8GB RAM, with Fast Charging and Wireless Charging onboard, as well. How likely are those to come true? We're certainly not holding our breath. Will the Pixel 3 feature an in-screen fingerprint reader? One notable change in the concept video is the lack of a glass backplate, which has so far been a signature of the Pixel range. We've got about six months to find out whether any of these predictions come true. We expect the Google Pixel 3 to be released around the end of October 2018, priced between £600 and £900.